Huge Savings Item! 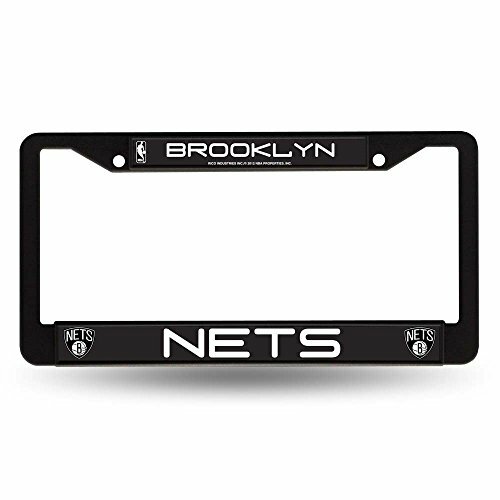 Save 11% on the Rico NBA Brooklyn Nets License Plate Chrome Frame by Rico at Basket Express. MPN: FC67010. Hurry! Limited time offer. Offer valid only while supplies last. Great Item For Your Car Or Truck . Heavy Duty Metal License Plate Frame . 6 By 12 Inches In Size . Fits All Standard Car And Truck License Plates . Great Item For Your Car Or Truck . Heavy Duty Metal License Plate Frame . 6 By 12 Inches In Size . Fits All Standard Car And Truck License Plates . Official Licensed Product.